JF Engineering is involved in offering a widespread range of forged reducing tees at an affordable rate. We offer these equal tees in different size, specifications, shapes and thicknesses. Tee is a forged fitting used for splitting and changing flow direction of run pipe of 90 degree. Moreover, these tee fittings do not need any special tubing preparation before application. We value our each customer and offered them a qualitative product with an excellent service. We are one of the largest manufacturer of ASME/ANSI B16.11 Forged Reducing Tee in Mumbai, India. 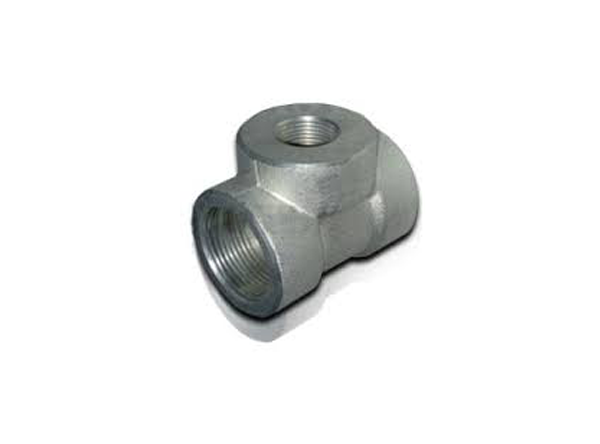 Forged Reducing Tee comes in a category of pipe fittings which is T-shaped having two passages, at 90 degree to the joining to the central line. We ensure you to provide the highest quality product that follows the international norms. These forged reducing tee fittings capable of withstanding high pressure and temperature and resisting to corrosion. These forged fittings reducing tee are widely used in sugar mills, distilleries, construction industries and cement organizations. These pipe tees are widely used in pipeline networks to transport two-phase fluid mixtures. Orders will be sent out within 2-3 business days, and may take up to 5-10 business days in transit. 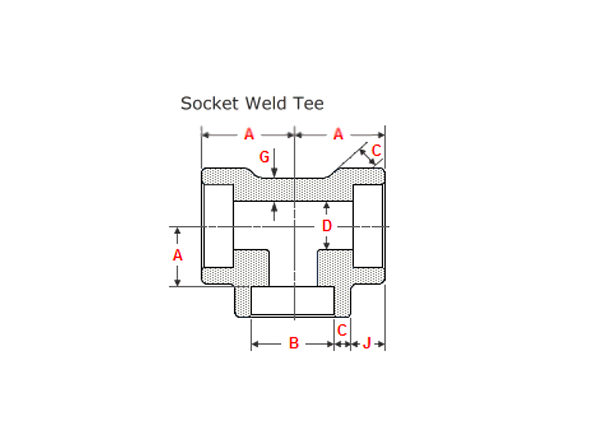 If ASME B16.11 Forged Reducing Tee is out of stock, orders may take up to 2-4 weeks to ship. JF Engineering Products LLP will notify buyer if this situation occurs..